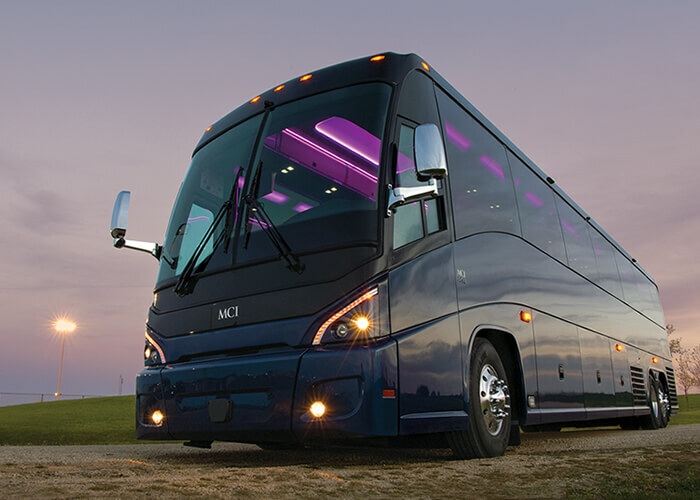 We have a fleet of 150 MCI and Prevost Motor coaches / bus which are located throughout Canada and the United States. We have the experience and equipment to fulfill your transportation needs. We specialize in financing / trac leasing and bus rentals on new and used equipment. We can offer competitive lease or finance rates on new and used equipment. We also sell new and used bus / motor coaches. Call us for details on fleet appraisals. All buses are charter equipped with on-board washrooms, air conditioning, and audio-visual entertainment systems. All of our vehicles will pass motor vehicle safety inspections. We ensure all buses are clean, have no body damage, and are in excellent mechanical condition. Willing to finance new coaches from the factory, please call for more information. We welcome the opportunity to service your coaches. We are a knowledgeable and enthusiastic motor coach company with over 34 years of experience. We specialize in the renting, leasing, appraising, and sale of motor coaches.